Wow, what a fight. After somehow managing to avoid the result of the bout due to the ridiculous television controversy, it was a blessed relief to see the fight on ITV, after having used all my of willpower to stop looking at the result online. Although I don’t think Froch will ever be classically ‘great’ boxer , he is almost there, and his performance in the last round was truly a sight to behold. 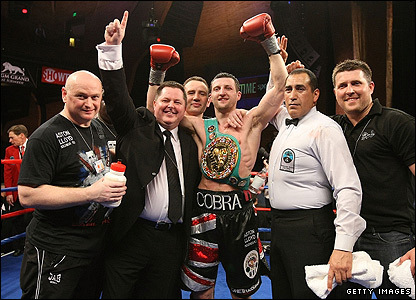 After 11 rounds of back and forth action, which included Froch being dropped for the first time in his career, the sheer courage and strength it took for him to force the knockout in the dying seconds was a testament to his incredible heart. Yes, Taylor was running dangerously low on gas, but he’s made a career out of ducking and moving, and avoiding being hit. 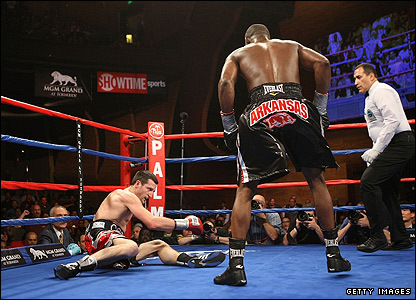 All he had to do was stay back for three minutes, but Froch worked his way through, applying pressure and throwing shot after shot until Taylor’s legs crumpled and he could take no more.